cles will be kick starting the event. Drawing inspiration from the 1970s and 1980s rock bands, GATC as they are famously tagged as are known for their electrifying performances. 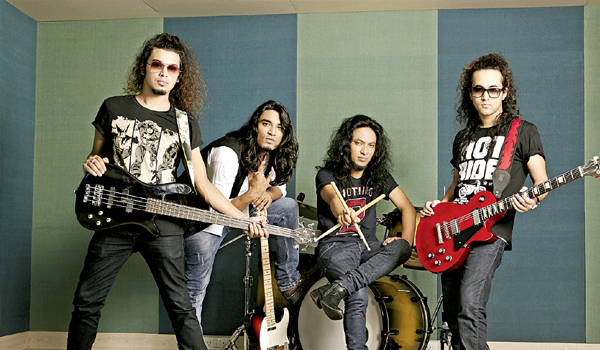 What began in 2009 as a solo project from Gangtok, is now a sensation in the rock industry. When asked them about their playlist for Hyderabad, Girish Pradhan, the frontman of GATC says, a�?The truth is the list should be prepared in advance regardless of such factors. But again it also depends on the kind of gig you’re doing. In this case, we’ll come with a list, but keeping in mind we may have to change it here and there looking at the crowd’s energy. We’ll be mixing originals with covers. As usual of course there will be some Led Zeppelin, AC/DC, Deff Leppard and all that we do usually. We will be performing our latest single Endless Road for the first time in Hyderabad. The song being about riders, it should be fun playing it there.a�? The band has performed three times in the city and are expecting nothing less than a cracking concert for the fourth time. a�?I’ve always heard of the city where people are open to any genre of music. We’ve loved it every time we have performed. We are looking forward to enjoy and giving the crowd a gig to remember,a�?says Girish. He went on to disclose that the band will be releasing an album with their previous productions. a�?We are in the process of sorting out the songs from all that we have done for our next release,a�? he adds.